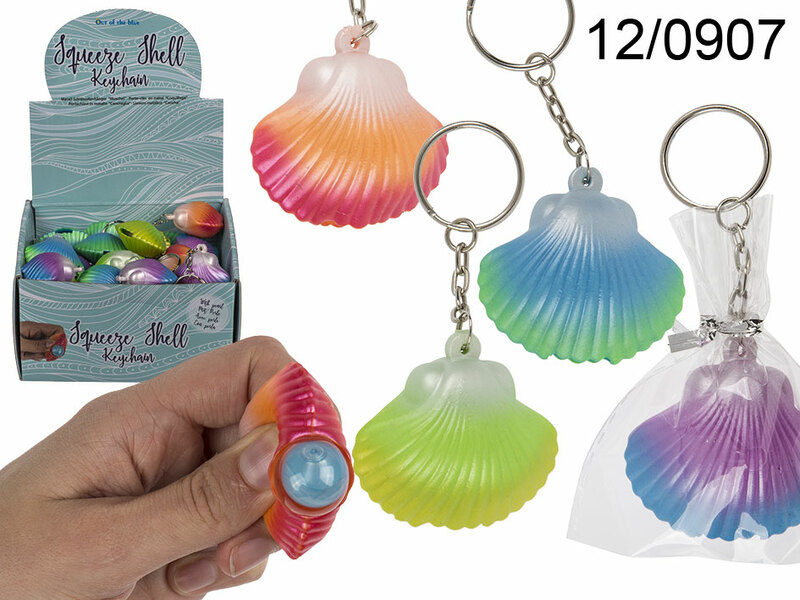 Lovely colourful seashell on a keychain. The shell hides a pearl, which appears once the shell is squeezed. Cheerful anti-stress item on a handy keychain - great for everyone.